Today’s speculation from Alan Nixon and the Sun is that Ben Mee is stalling on a new deal at Turf Moor which could force us to cash in on him before his goes into the last season of his current contract. 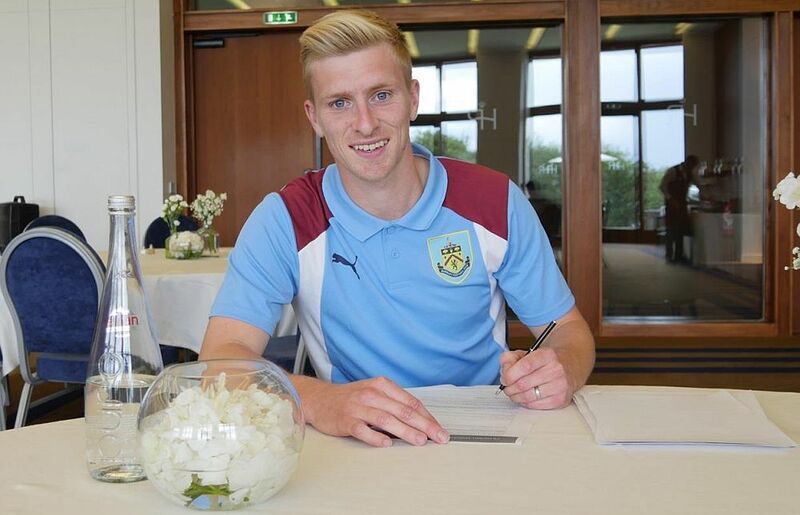 Mee, shown signing his current contract following promotion in 2016, is in his seventh season at Burnley and is approaching his 250th game for the club but Nixon reports that Sean Dyche is concerned about losing him for nothing in the summer of 2019 and will therefore look seriously at any offers that might come in this summer. He believes we would look for a fee in the region of £20 million. Meanwhile Mee, who has captained us this season in the absence of Tom Heaton, said this week that his and the team’s aim is to give us, the fans, a special season.